The ClutchXperts Stage 3 Racing 6-puck strip disc uses our high torque internal assembly, but goes one step further in terms of friction. This disc uses an advanced hybrid iron and carbon combination delivering aggressive bite and increased thermal capacity. 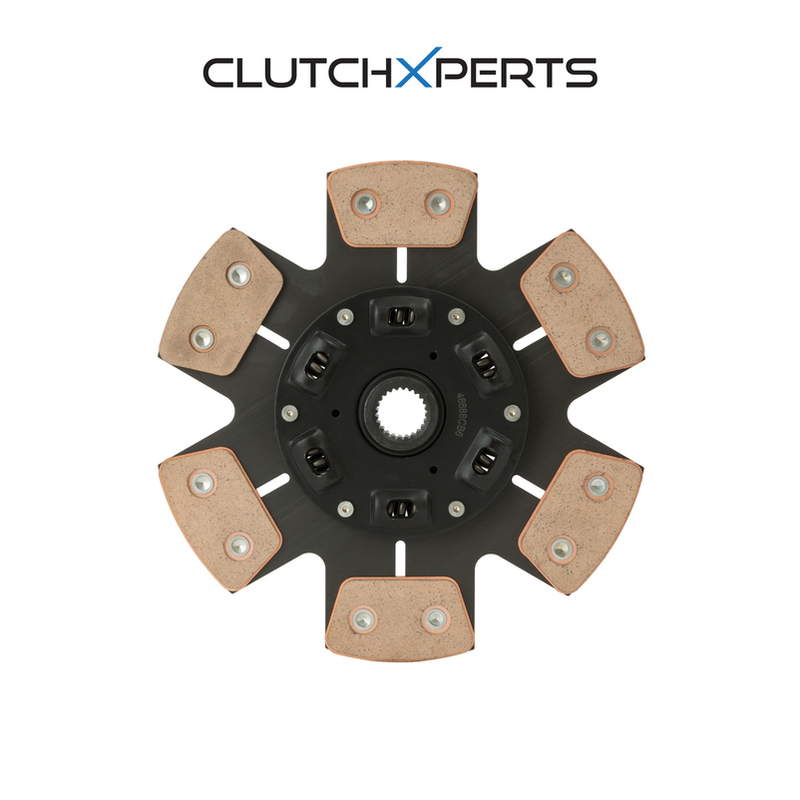 Uncharacteristic of the typical aggressive racing disc, the ClutchXperts 6-puck sprung racing clutch disc provides outstanding stability, smooth engagement, and less wear on opposing plates.This combination has proven to be premier unit with regards to both performance and drivability for the daily driver with serious torque holding requirement. This system is recommended as the finest quality upgrade from the original equipment clutch. This kit comes with everything you need for a new clutch job or clutch upgrade. Lastly, resurface and rebalance the flywheel prior to installation for best performance and result! Stage 3 6-puck with sprung ceramic disc. Precision heat treated single diaphragm. Re-Arched Diaphragm for Superior Engagement. NO unnecessary increase in pedal pressure. More Grip Power, longer lasting clutch.